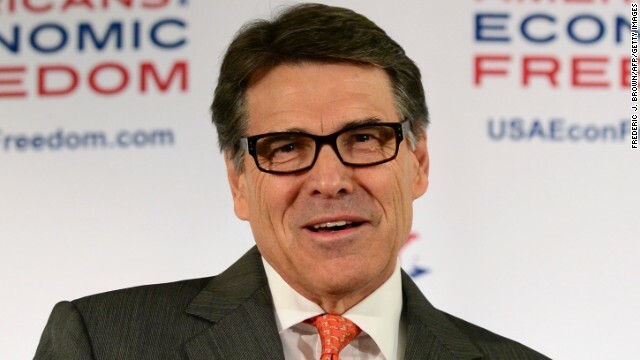 (CNN) - Rick Perry's headed back to South Carolina Tuesday and Wednesday. It's the third trip by the longtime Republican governor of Texas to the Palmetto State in the past year. Perry, who launched a failed campaign for the 2012 GOP presidential nomination, is not running for re-election this year and instead is considering another bid for the White House in 2016. The visit to South Carolina, which holds the first southern primary, precedes upcoming stops this summer for Perry in Iowa and New Hampshire, the states that hold the first two contests in the race for the White House. But with the midterm elections just four months away, Perry advisers emphasize that this trip is mostly about 2014. Perry will team up with Gov. Nikki Haley at the Dorchester County GOP Big Bang BBQ, just north of Charleston. South Carolina's GOP governor is running for re-election this November. Perry, a former chairman of the Republican Governors Association, remains a member of the RGA's executive committee, and has traveled across the country to help Republican governors and gubernatorial candidates. Earlier Tuesday Perry tours the Medal of Honor Museum at Patriot's Point and holds a business roundtable in North Charleston. On Wednesday the Texas governor will be the main attraction at a hot dog and hamburger cookout fundraiser for GOP Rep. Nick Mulvaney, who's running this year for a third term in the House. "Right now he's pretty focused on 2014. Does everything he's doing to help fellow Republicans in 2014, whether that's assisting congressional members or gubernatorial candidates, supplement as preparation for 2016? Of course," a Republican strategist close to Perry told CNN. Perry's 2012 bid for the GOP nomination collapsed in South Carolina, just days before the state's primary. He's said that if he runs again, he'll be better prepared. A veteran GOP consultant in South Carolina says the field is wide open right now. "Perry is interesting because he started very strong here last time around and kind of fizzled. So I think there's definitely an opening for him in South Carolina if he can create a compelling case for himself to Republicans here. That being said, the same holds true for pretty much all of the 2016ers. It's very early to start reading tea leaves. A lot can happen between now and then," said GOP consultant Joel Sawyer, who was a top adviser to former Gov. Mark Sanford. Perry heads back to Iowa for a two-day swing July 19-20. This will be his third visit to the Hawkeye State since last November. And he'll make his first post-2012 stop in New Hampshire on August 22 for meetings with political and business leaders. His time and energy would be better spent looking for a real job. He doesn't have what it takes to be President. Way too many missteps. After Obama and Biden, we don't another bumbling gaff-o-matic. Perry should consider going to summer school. Rick's summer would be best spent attending summer school for remedial courses in English, grammar, math, and logic. Let's not forget about some of the company that Gov. Perry keeps. He leans towards the evangelist types who are fond of making racially insensitive remarks, so that he can think of himself as a good Christian. He likes to attend their conventions. Rick's gonna go to the GOP Big Bang BBQ with Nikki Haley, is he? Well okey dokey and rah rah. Very disappointed in how Perry has been dealing with Obama's deliberate importation of street kids to America. I can only imagine the conversation concerning another run, but George won, and he's a bigger idiot than me,.... your right rick, but they've wised up just a little. The glasses help, but you still have to talk,.... damn it! Please Perry....go away. No none wants you to run and you have zero chance of winning. Oh Please. Go home you fool. I've from Texas and Perry is the worst! Heck, he makes Bush look smart and everyone know that's not good, so if he wants to run again for president...get ready for more laughs!!! You'll have a lot of free time soon rick, your going nowhere, very fast. There are those that people suspect are fools, and people who have opened their mouths to show that they are. I think most agree that Rick Perry has been a fool. Will he continue to be a fool? I think that he will show us more often than not that he is. Being an ideologue in the presidential race is going to push everyone to the right. That will make the eventual winner too far to the right for many moderates out there. Remember Birther Perry? Obama's birth certificate? "It's a good issue to keep alive. It's fun to poke at him," said Perry. Out of touch or a user? You decide. Rick Perry will team up with Gov. Nikki Haley . And they both love Guns ! ...Oh yeah,and those pesky government agencies that he wants to rule over and then get rid of but whose names he doesn't know. Obama administration is following the law passed by a Republican Congress and signed by GWB, which says that in the case of unaccompanied minors, then they can be allowed to stay with relatives in the U.S. Pres. Obama wants to change that law, but House Republicans refuse to act. They would rather play the part of the ignorant cynic, and criticize the President for following a law that they themselves put into place.